Sunday, March 24th Cassino (ITA) will host the Italian Championship of the 20km road walk. In total there will be 227 participants, including 34 men and 21 women for the 20 km senior and promises. The juniors will be engaged on the distance of 15 km (men) and 10 km (women). The 10 km awaits U18 boys and girls for the category clubs championships. The outgoing champion Massimo Stano will not be at the start and therefore the race will have different victory solutions. Among the favorites we include the winners of the 2016 editions, Federico Tontodonati, and of 2017, Franesco Fortunato. Neither Eleonora Anna Giorgi nor the most successful of the opponents Valentina Trapletti will be at the start. The best time among the ewntered athletes is that of Eleonora Dominici. The young Lazio athlete coached by Alba Milana, boasts a personal best of 1:33:32 obtained Bydgoszcz (POL) on Jul. 16, 2017 when she arrived 5th at the U23 European Championships. She is the natural favorite of the competition, judges allowing. In fact, the young Italian woman boasts a strange personal best: that of a high number of disqualifications on the national territory while at international level she has never suffered any. We'll see. 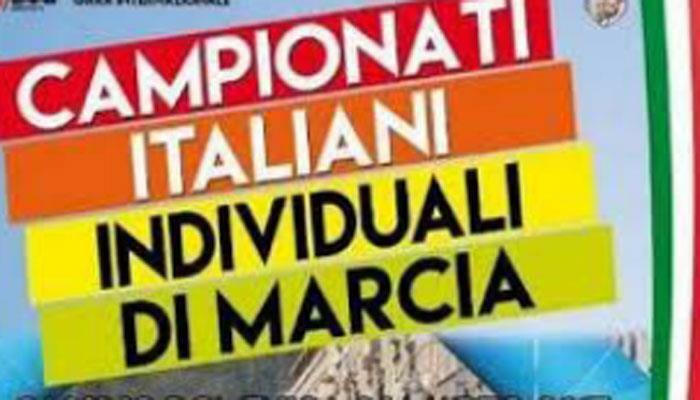 In women the main candidate for the victory is Andrada Lavinia Lacatus, who boasts a personal best on the road of 51:42, but even better she did on track (49:05.16) in Mariano Comense (ITA) on Apr. 22, 2018.